Fashion designer and runner up on of Lifetime's sixth season of Project Runway. 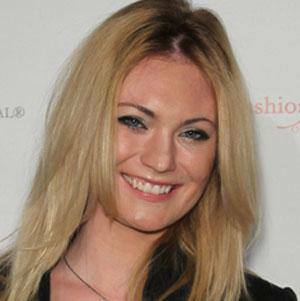 While studying at the University of Cincinnati, she interned for top designers Anna Sui and Zac Posen. After her first appearance on Project Runway, she was invited back to compete on Project Runway Allstars: Season 2, where she finished in 6th place. She was born in Dayton, Ohio. She dressed Kourtney Kardashian during her promotional appearances for season 5 of Keeping up with the Kardashians.